Planning an event in or around Suffolk? If you’re planning a wedding, celebration or corporate event, then a marquee is an affordable and stylish solution. As they are temporary structures, you don’t need planning permission, just some available space. 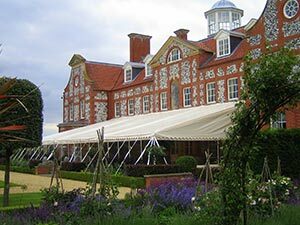 To make your marquee look special for your event, you’ll need a lining, some windows or even roll up sides to bring the outside in. A floor covering is a great idea and we can also arrange wooden dance floors, bars, lighting and toilet facilities. If you need a marquee for storage, we can choose a robust canvas and metal frame design.